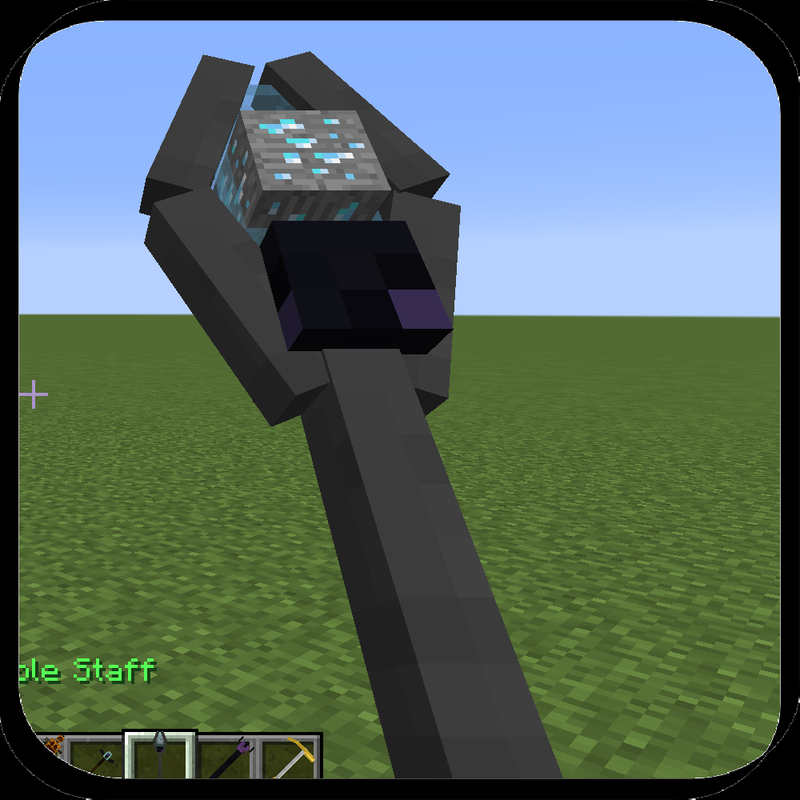 This is a Vanilla 1.11 Minecraft Command Block module which adds 16 new creatures to the game! It also includes a large variety of items and is constantly being updated. Check back for updates! This module is part of the "Tempest's Box" so the download will take you to TTB download where you can install this module. 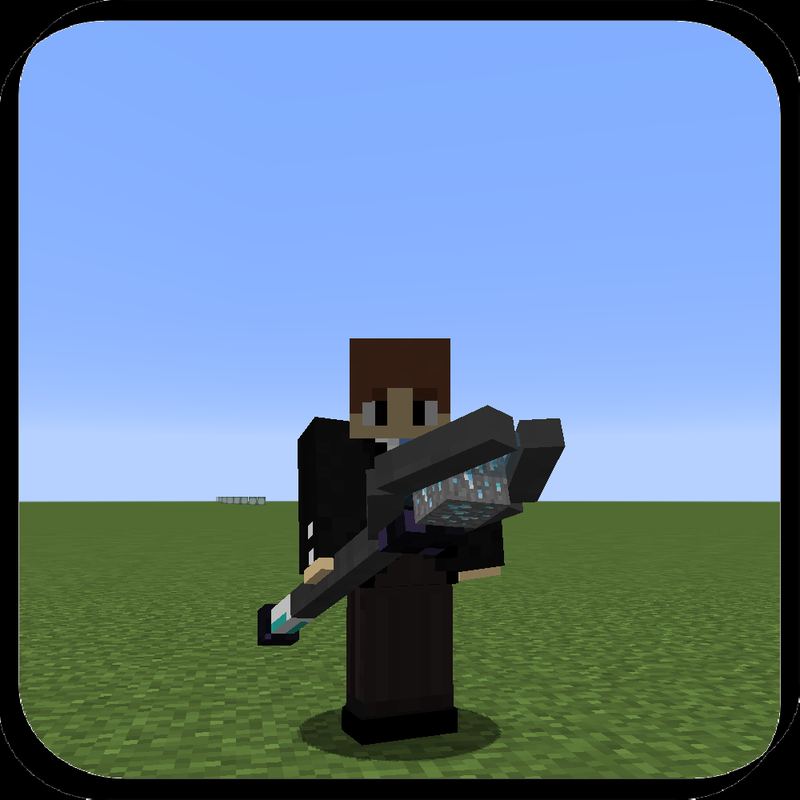 The tempest crafter is needed to craft all the machines in this module. This module is added by default and cannot be uninstalled. 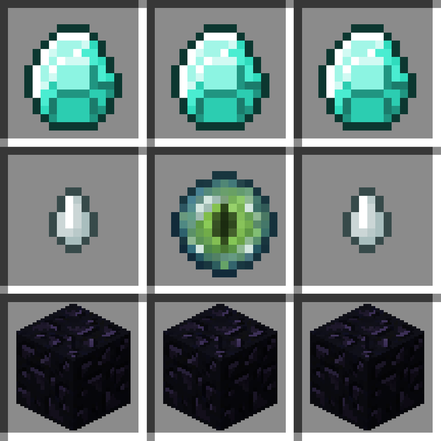 Craft by placing a dropper on the ground, filling it with the items as shown in the image below, and throw an enchanting table on top of it. 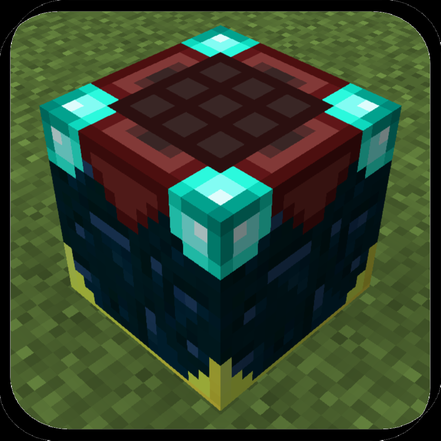 Once made, you can destroy it at any time, but you'll only get a broken enchanting table. Right click the custom crafter to open the crafting GUI. 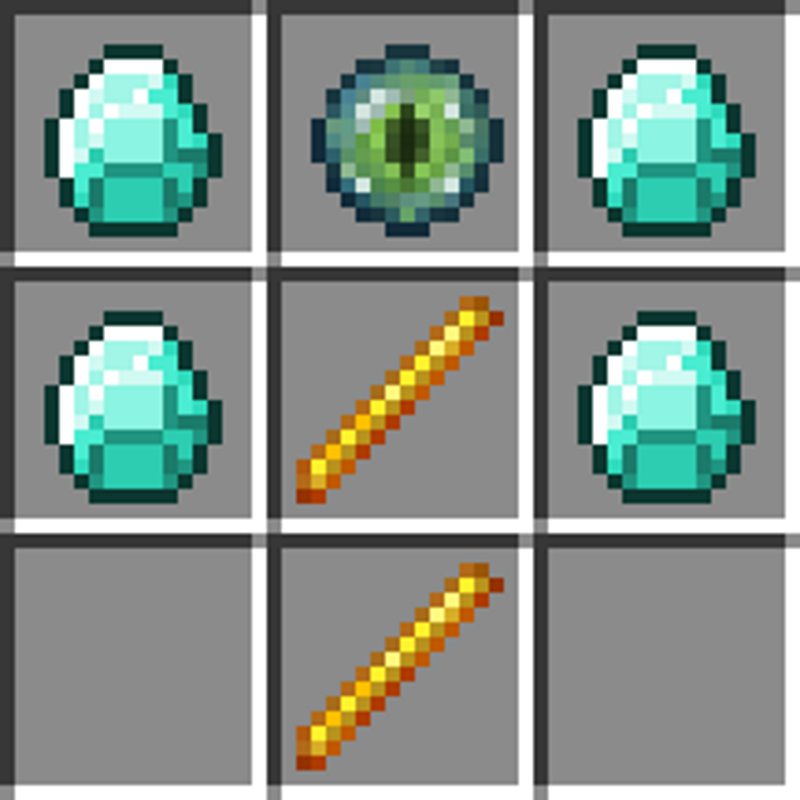 Here, you can craft the custom items in the Tempest's Box. 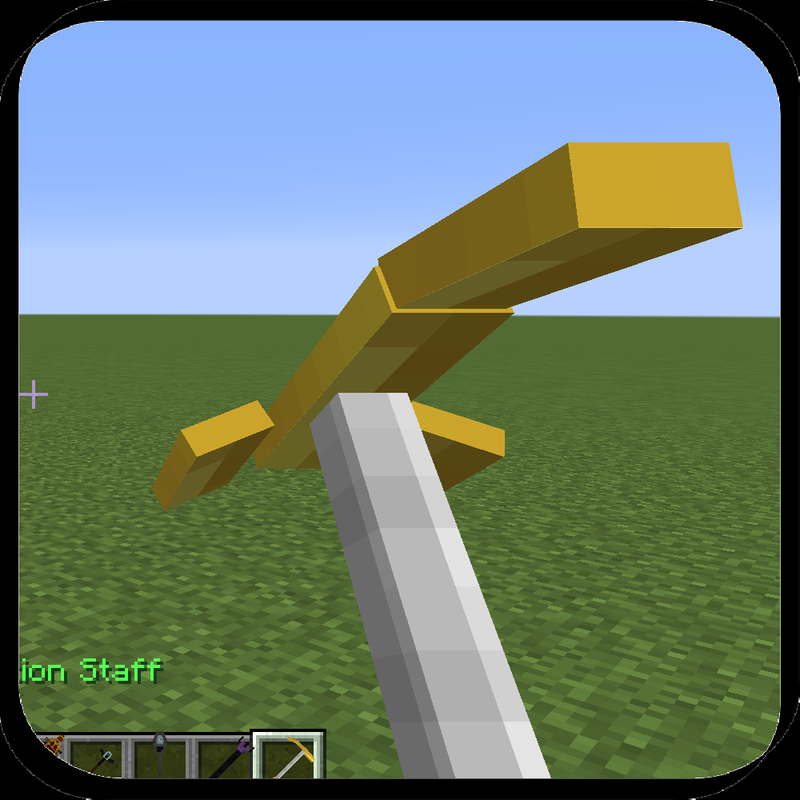 The crafting recipe for a staff is shown on the right side of this text. 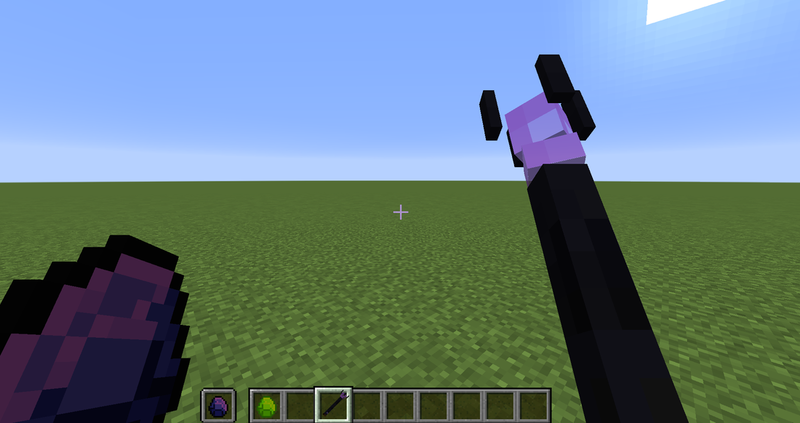 This will give you one of 10 random staffs, with a random amount of attack damage between 0 and 6. 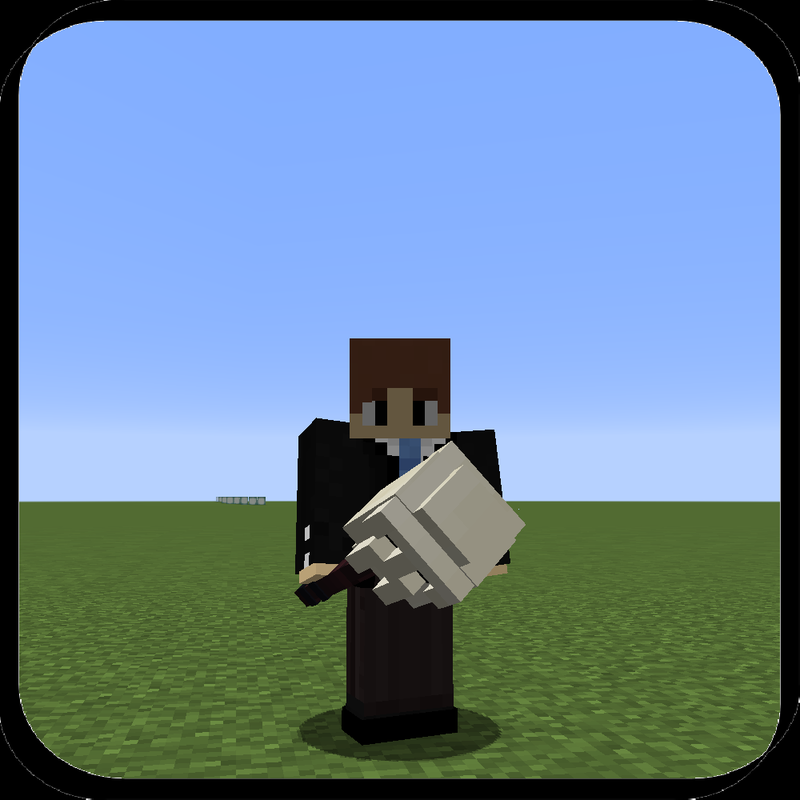 Hold a staff in either hand and press right click to use it. Pressing left click will deal a standard melee attack. Wands will deplete over time so use it wisely! 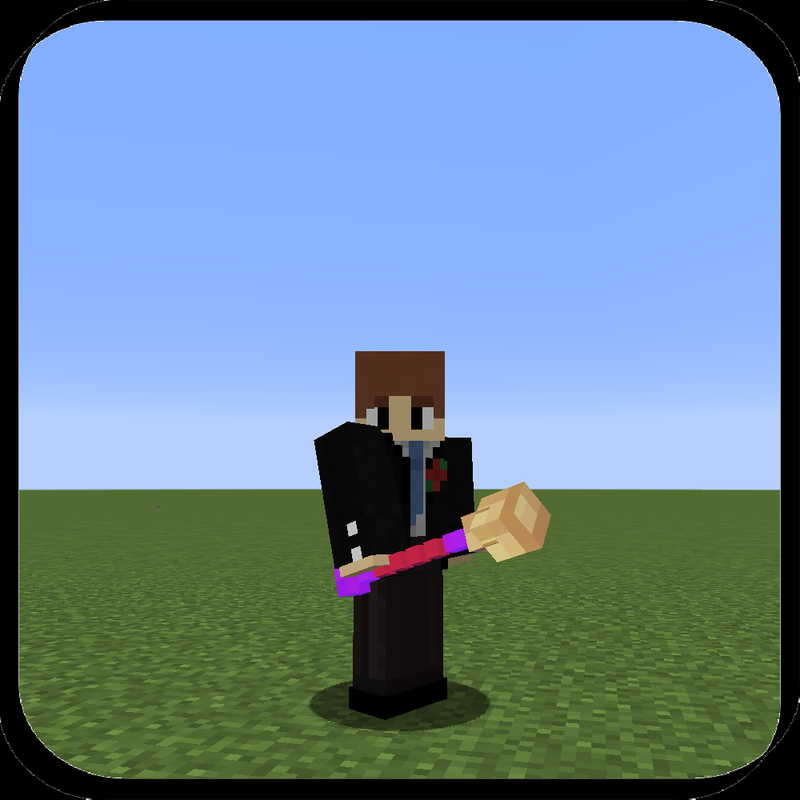 Put this into the Tempest Crafter to make a Staff. A remake of TPC's Wind Charm who is helping with the project. Find his channel here. Launches the player up into the air. Gives 5 seconds of invincibility. Uses 7% of the staff per use. That's 15 uses before it depletes. A Bright Relic will recharge 5% per recharge. Uses: General combat, launching yourself up, healing. Gives 1 second of invincibility. Gives 3 seconds of Speed Level 10. Teleports the player to a random zombie within 32 blocks. Uses 5% of the staff per use. That's 20 uses before it depletes. Uses: Quick escape, locating caves, fast paced combat. 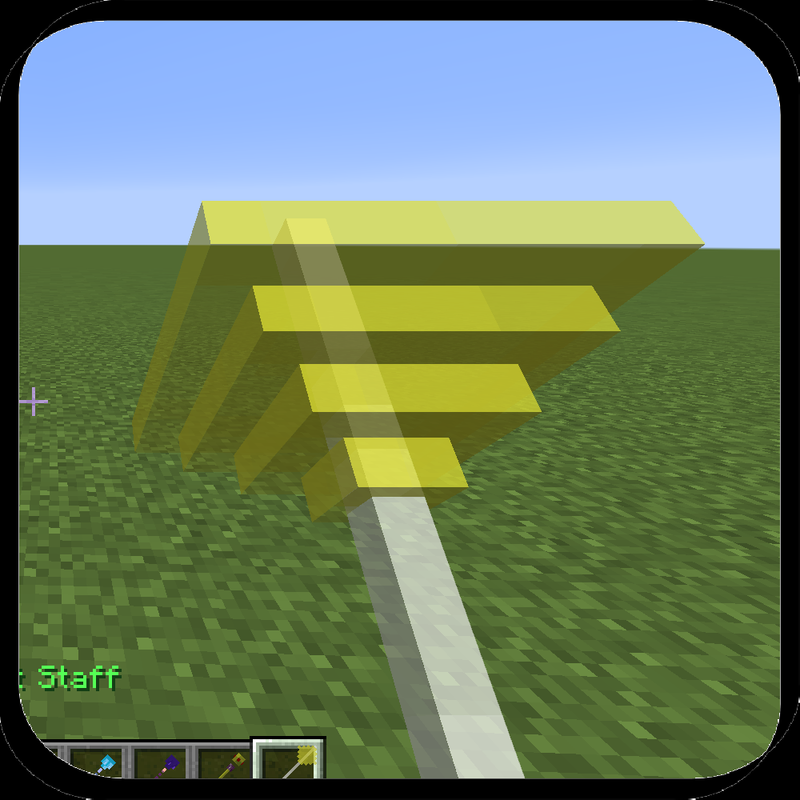 Clears out stone, sand, gravel, dirt, grass, netherrack, soul sand, and leaves in an 8x3x8 area. Uses 3% of the staff per use. That's 34 uses before it depletes. A Bright Relic will recharge 7% per recharge. 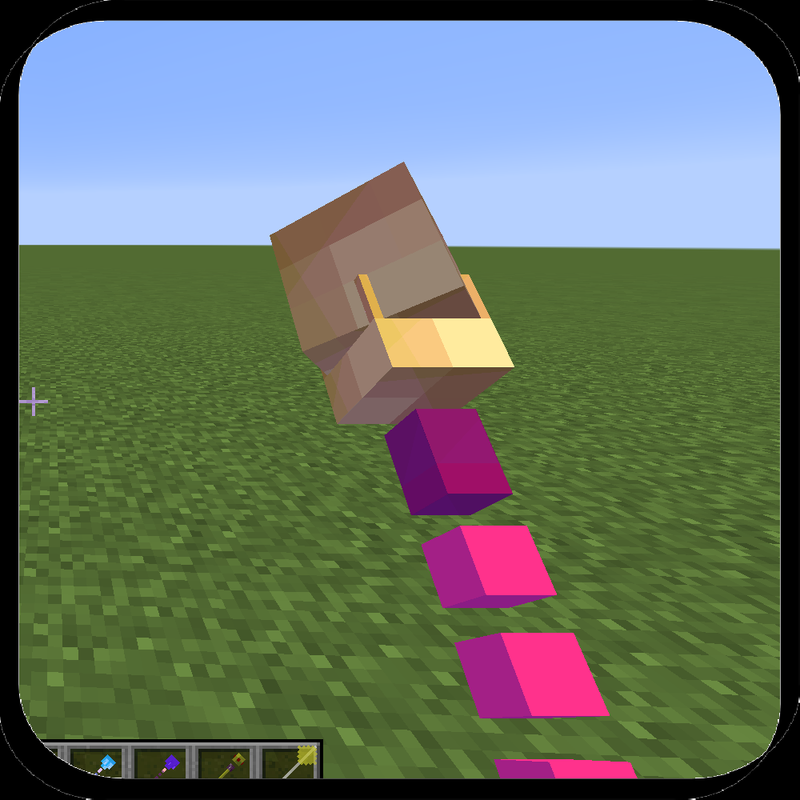 Uses: Making a quick escape underground, mining, and terraforming. Freezes nearby mobs and traps them in ice for 10 seconds. Turns a 12x5x12 area of laval into magma, magma into cobblestone, water into ice. Uses 4% of the staff per use. That's 25 uses before depletion. Uses: General combat and killing mobs. 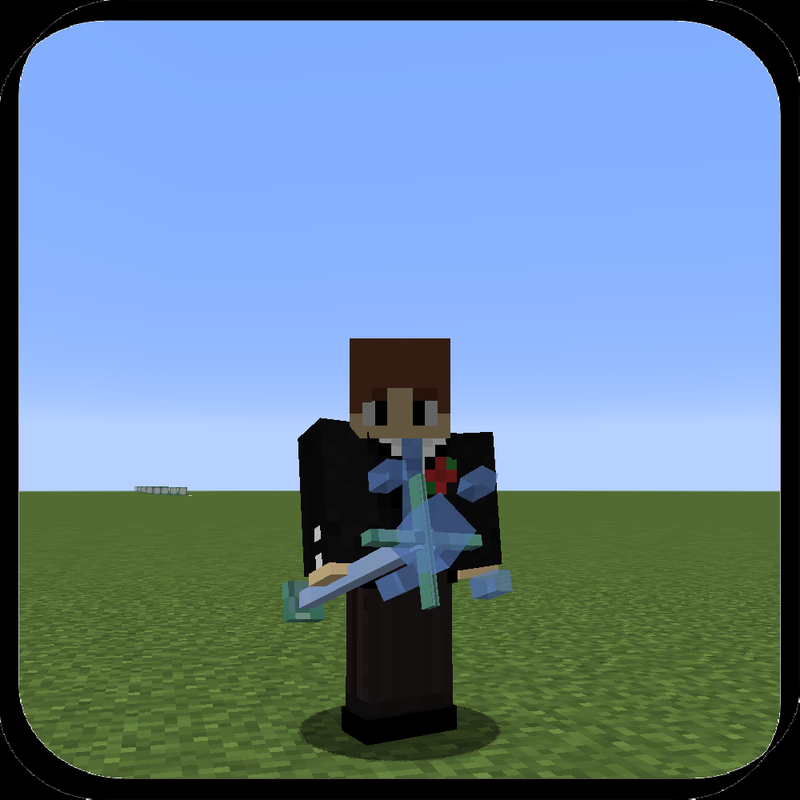 Traversing lava lakes especially useful in the nether. Traversing oceans, the ice is permament so it could be better than frost walker. A remake of TPC's Tank Charm. Find his channel here. Makes you completely invulnerable for 10 seconds. You cannot see or move while in this phase. Uses 9% of the staff per use. That's 12 uses before depletion. A Bright Relic can recharge 5% per recharge. Uses: Take this 10 seconds to manage your inventory, eat, heal, or make your escape. It's a wand used for emergencies - far more powerful than a Totem of Undying. Launches the nearest entity in the air and blows them up. Since the entity is launched high up, it shouldn't do much damage to the terrain unless you're underground. Uses 12% of the staff per use. That's 9 uses before depletion. A Bright Relic will recharge 3% per recharge. Uses: Mining, general combat, breaching. 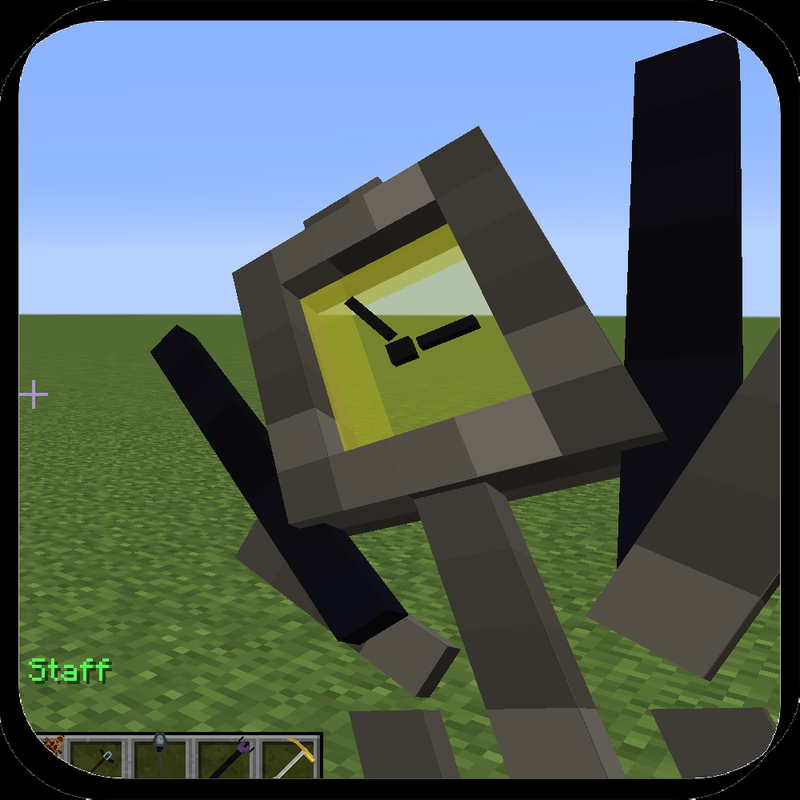 A remake of TPC's Time Charm. Find his channel here. Adds 2.5 minutes to the time. 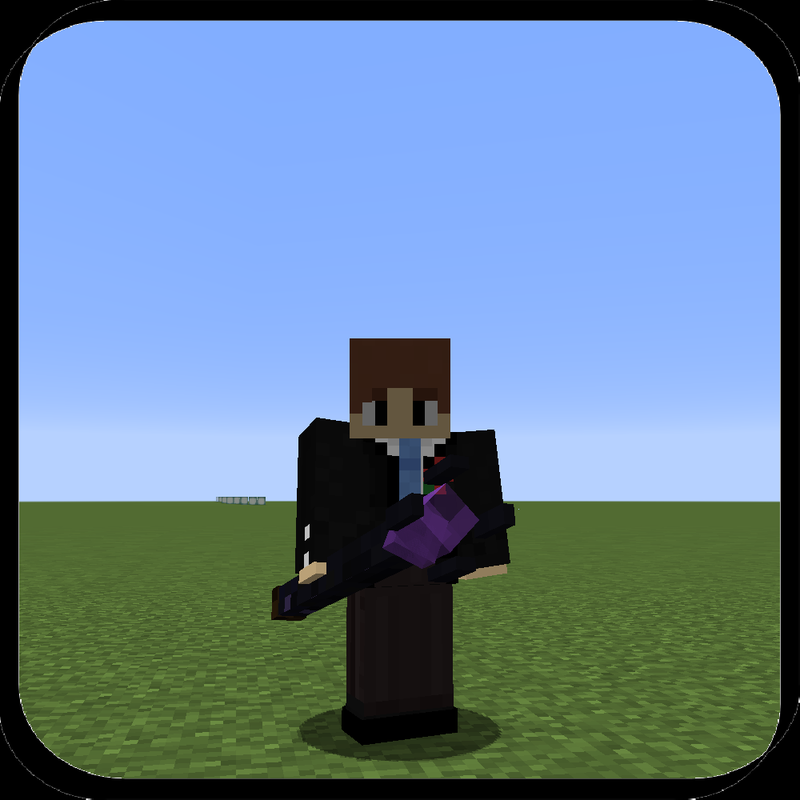 You and any mob within 16 blocks of you will be in a new place, because you're now in the future! Uses 29% of the staff per use. That's 4 uses before depletion. Uses: Getting out of caves. Being too lazy to wait for night time. Pranking your friends. Getting out of a sticky situation. Traps the nearest entity in a cobblestone prison. Uses 18% of the staff per use. That's 6 uses before depletion. 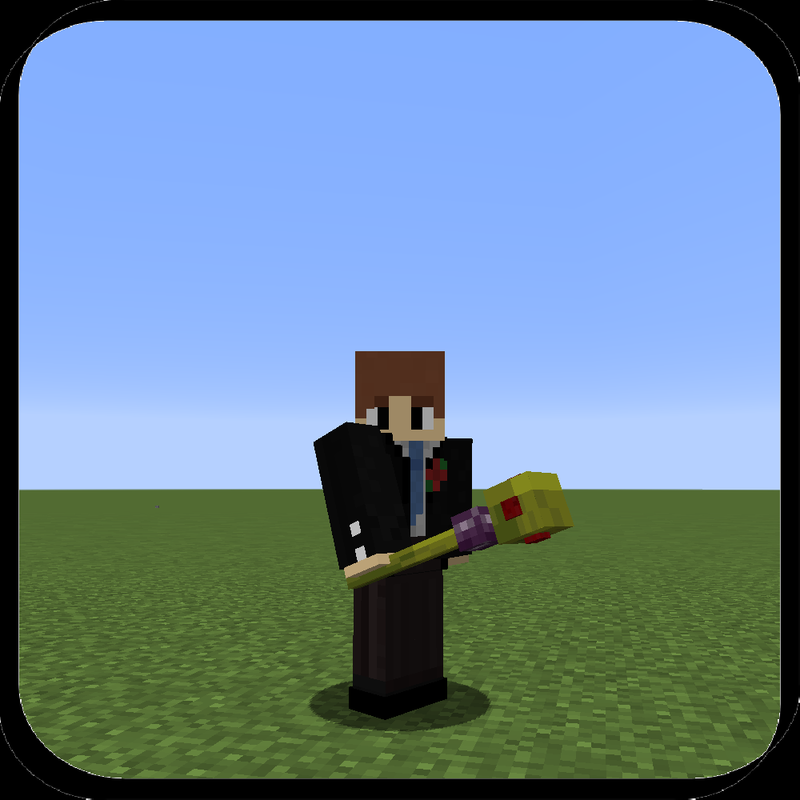 Uses: Trapping mobs without killing them. Great if you want to keep one as a pet. Execellent for fighting "Skitters" too. Use the scroll wheel to speed up. This staff is rarer than the other wands. Uses 27% of the staff per use. That's 4 uses before depletion. A Bright Relic will recharge 1% per recharge. Uses: Finding caves, getting to difficult to reach places, escaping, traveling 2500 blocks in under 30 seconds. 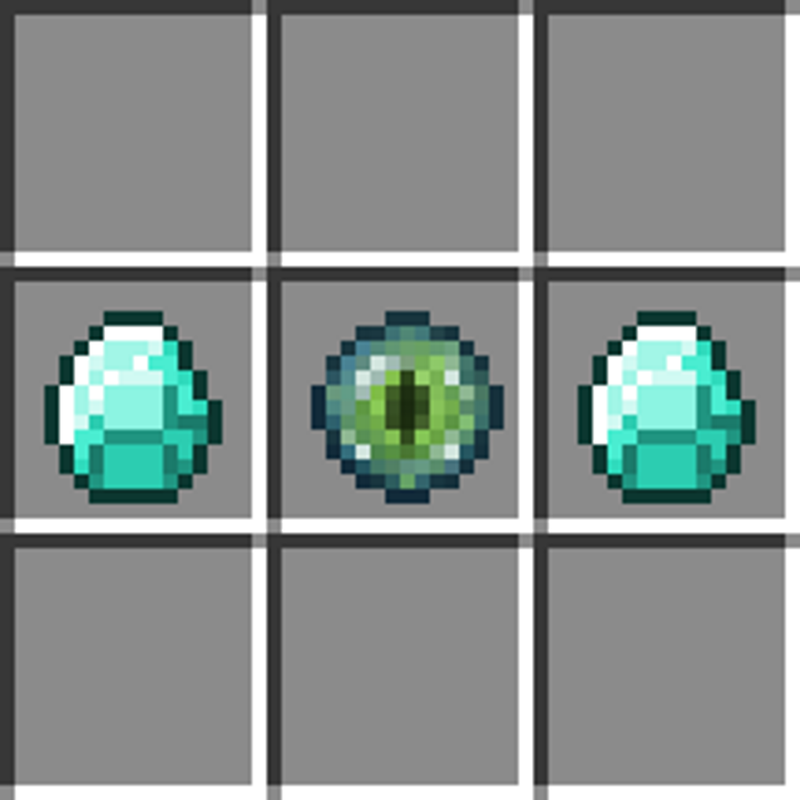 Obtains a spawn egg from any mob except custom mobs. The staff is the most rare. Uses 92% of the staff per use. That's 2 uses before depletion. 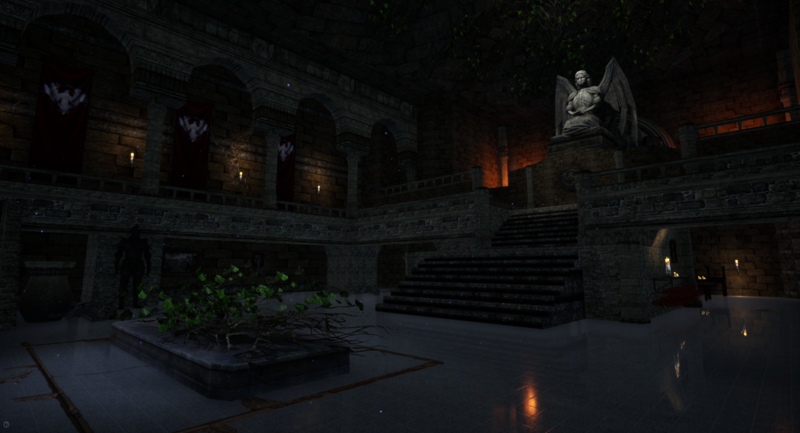 COMING SOON: Harvest Staffs will only be obtained through dungeons. 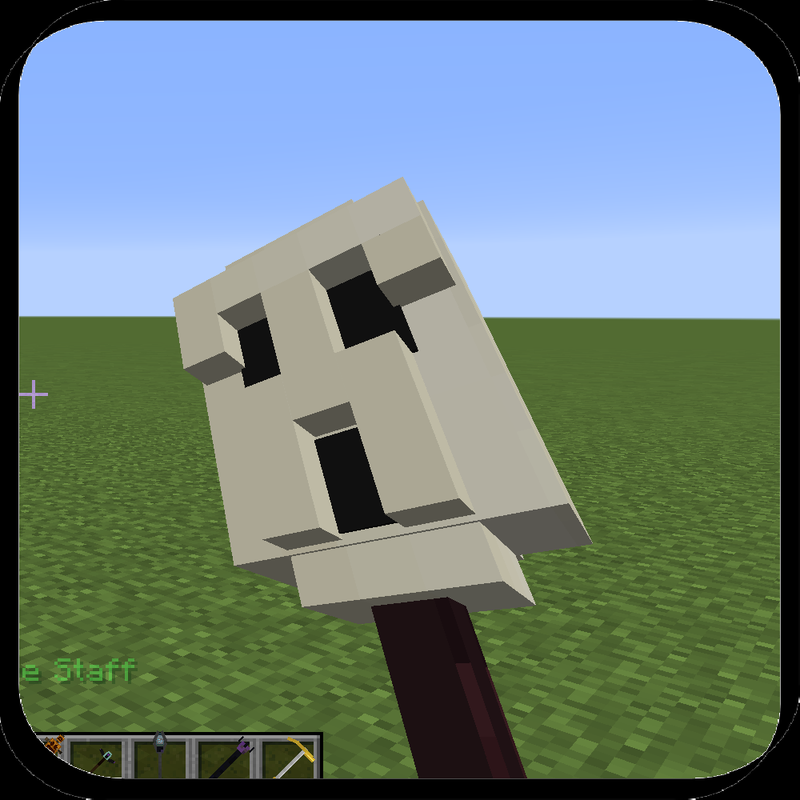 Uses: You can right click a spawner with a spawn egg and it will forever spawn that type of mob. 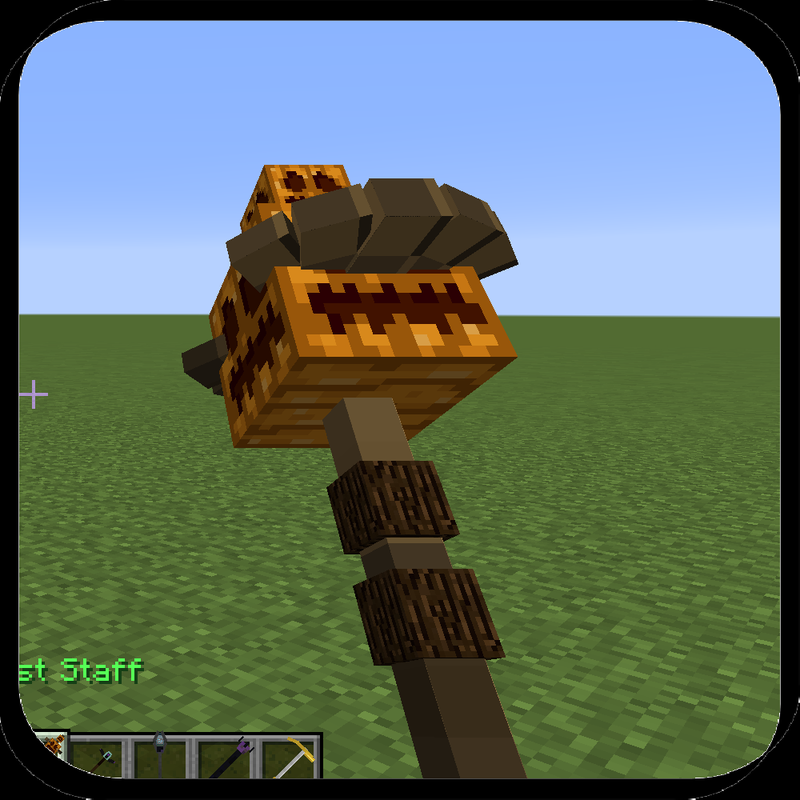 Harvest Staff will work on custom mobs! 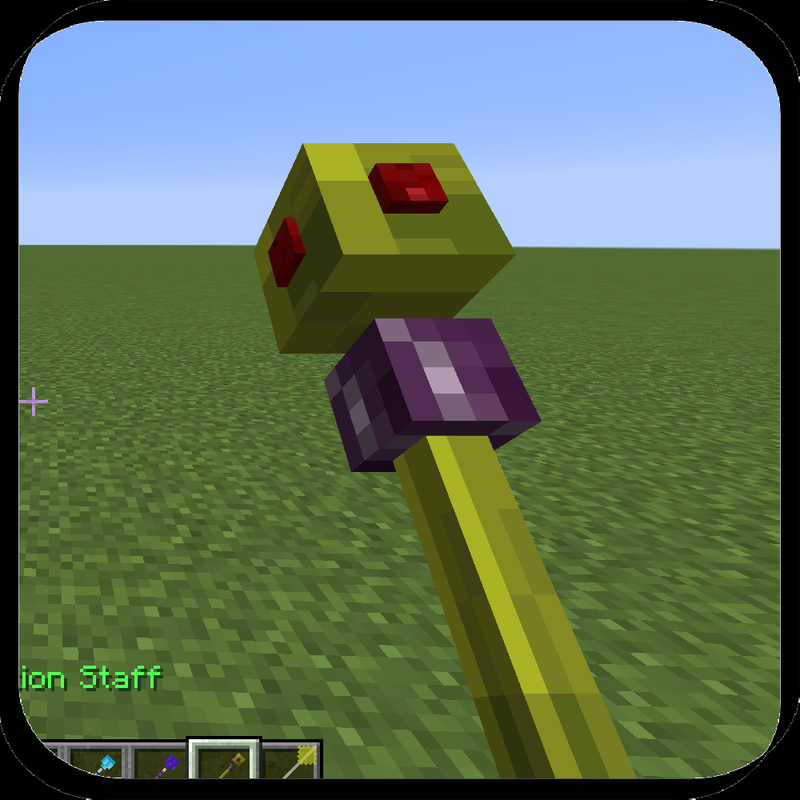 Saturation Staffs can only be obtained through dungeons. 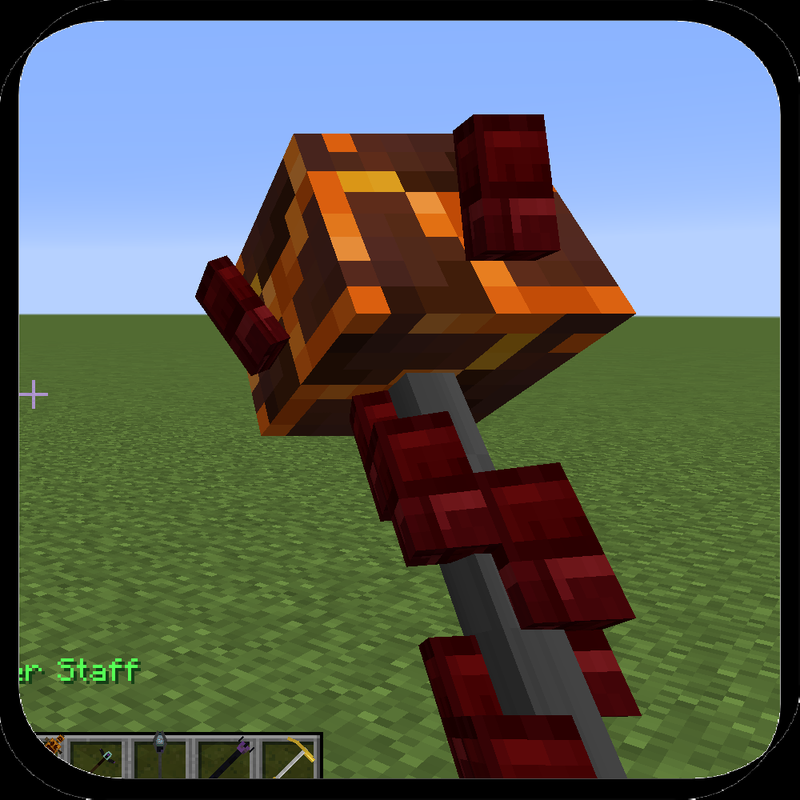 A direct hit will burn mobs at the cost of nothing. 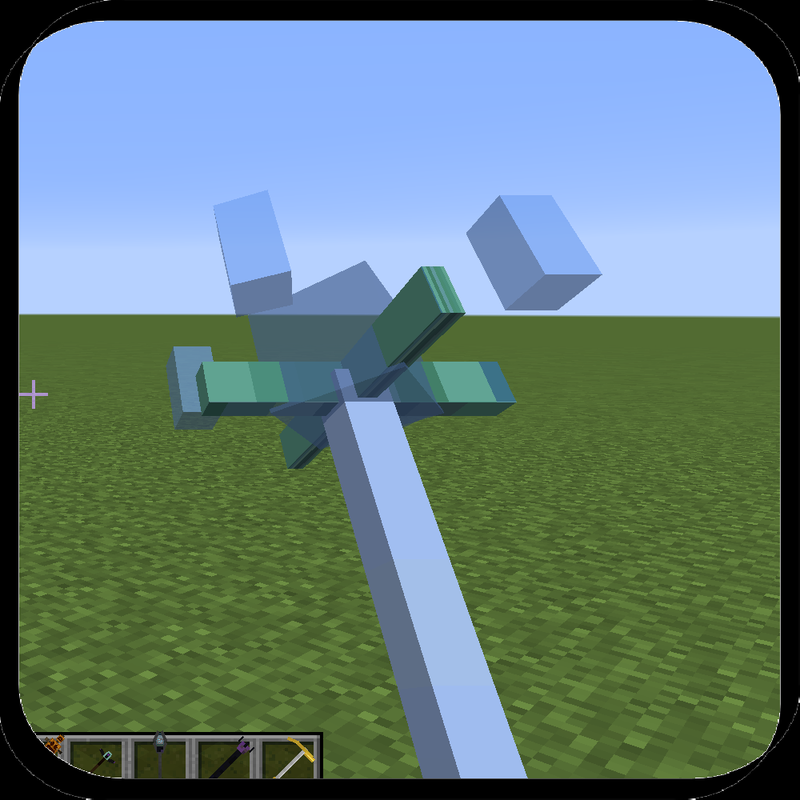 Go near a Wisp and right click with this staff at least 5 times to kill it. Uses 6% of the staff per use. That's 17 uses before depletion. A Bright Relic will recharge 6% per recharge. Mage's Staffs can only be obtained through dungeons or killing Mages. Gives slowness and massive strength to the player. 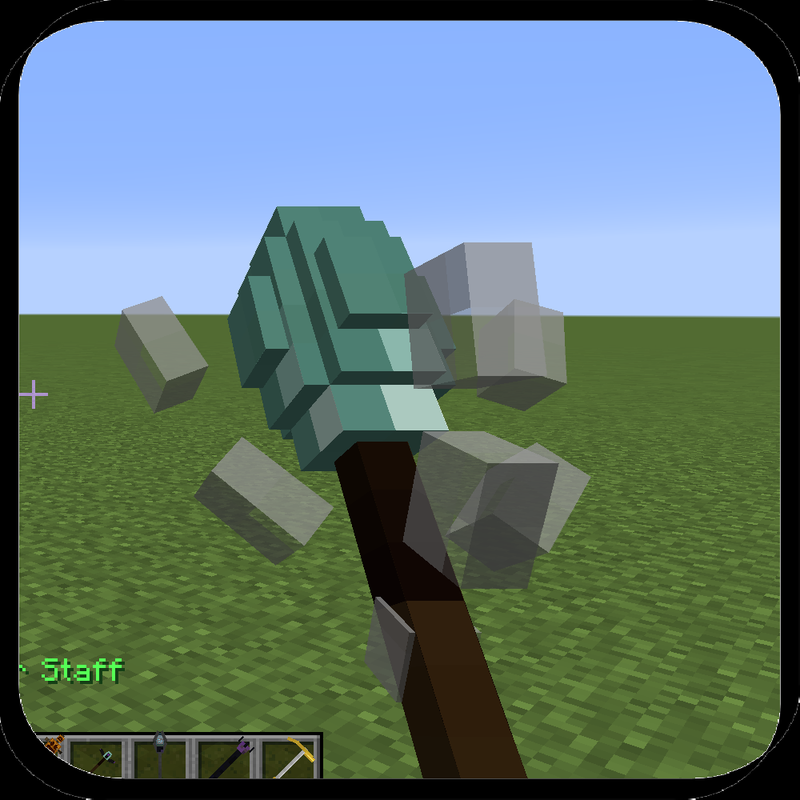 A direct hit will Knockback mobs at the cost of nothing. Blight's Staffs can only be obtained through dungeons or killing Blights. Gives speed and jump boost to the player. Sends a hoard of spiders to cover nearby mobs. A direct hit do massive damage to athropods. Skitter Staffs can only be obtained through dungeons or killing Skitters. Netherknight Staffs can only be obtained through dungeons or killing Netherknights. Tells you the spirits inside nearby spirit gems. Only useful if you have the Spirit Gems Module enabled. 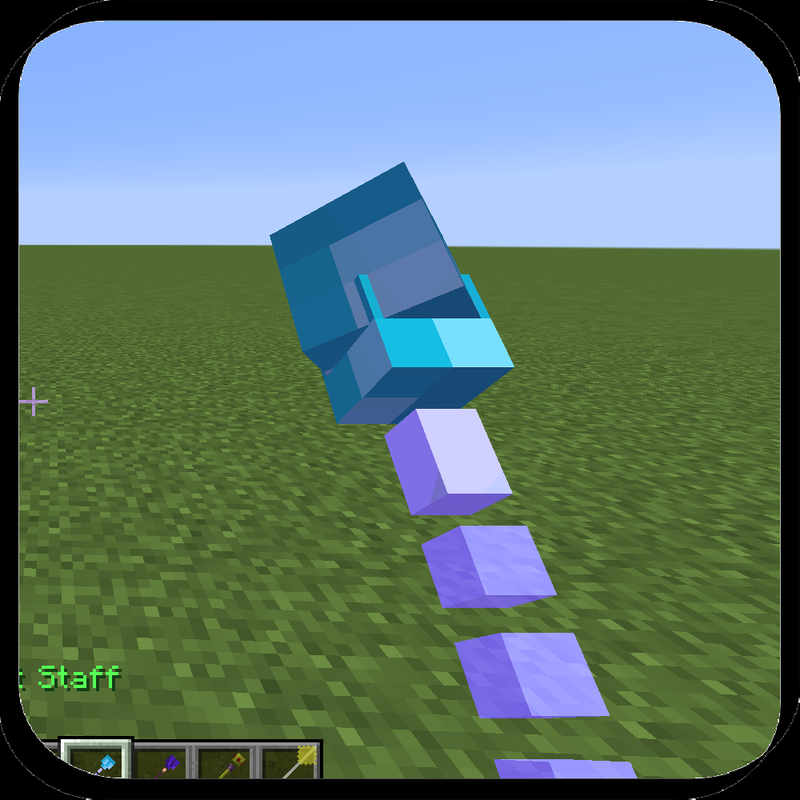 Using the Spirit Staff will make nearby Decree's speak to you. The louder the Decree, the closer it is to the player. The Decree can only be found in the custom structures module. 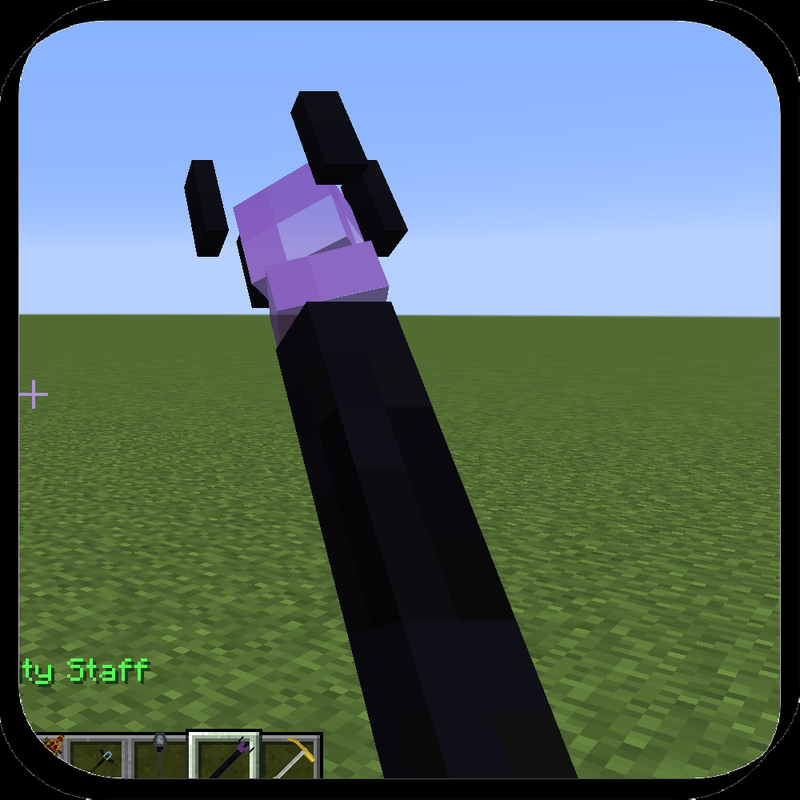 After you defeat the Decree, you will get access to the Purple Tome. 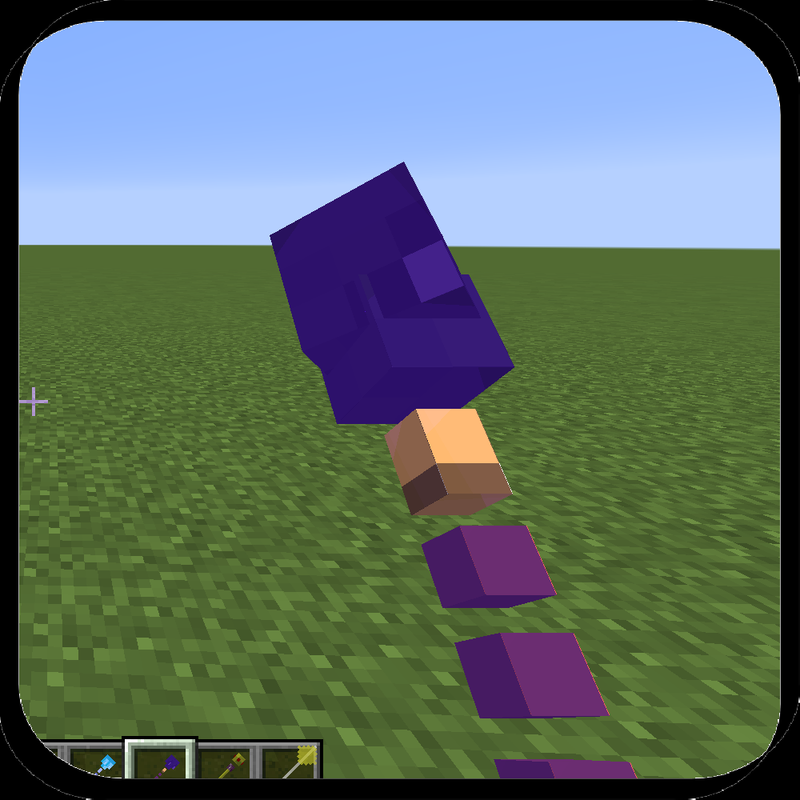 Use the Spirit Staff on the purple tome to recharge ALL your staff mana (and recharge all your staffs). This will consume the Spirit Staff in the process. Uses 1% of the staff per use. That's 100 uses before depletion. A Bright Relic will recharge 2% per recharge. Spirit Staffs can only be found in dungeons. 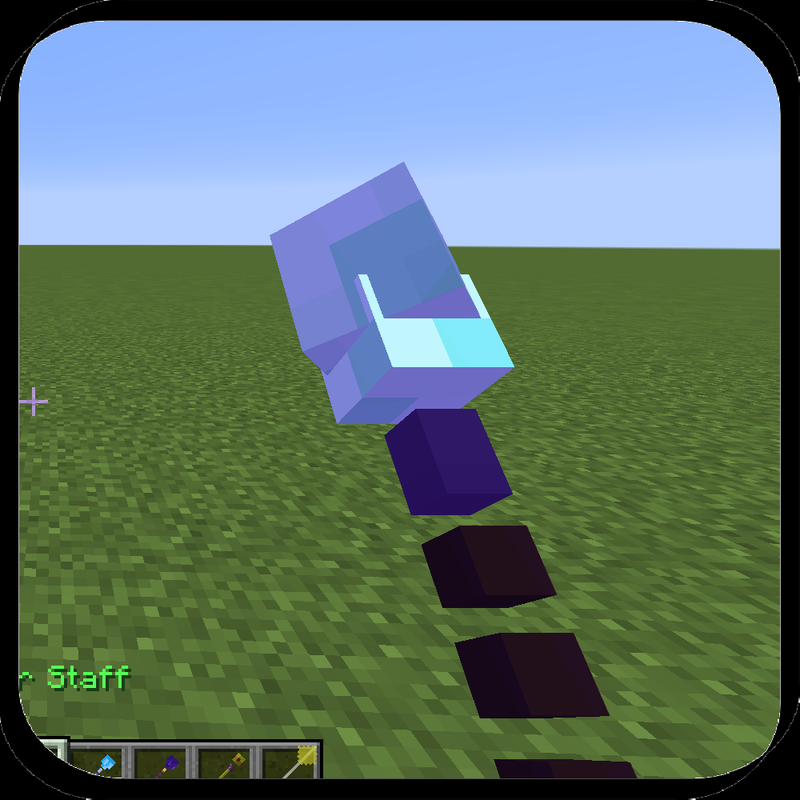 The spirit staff adds 15 power to the nearest Tempite Storage container which you can read more about on this page. 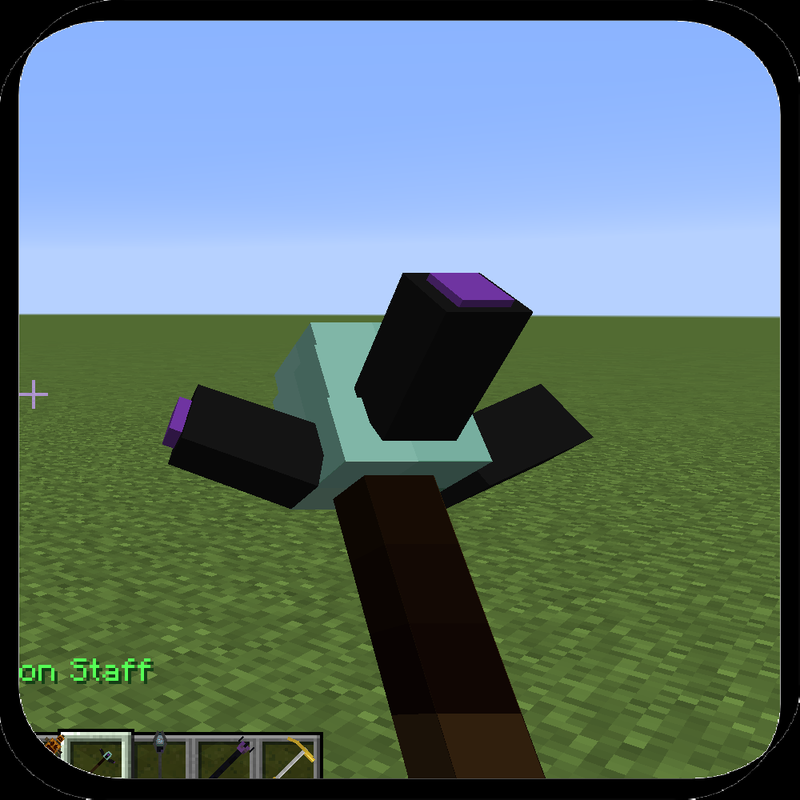 The spirit staff will help you detect Amethyst and Vulcaanium Ore which you can read more about on this page. Put this in the Tempest Crafter to get a Dark Relic. Put this into a Tempest Crafter to get a Bright Relic. 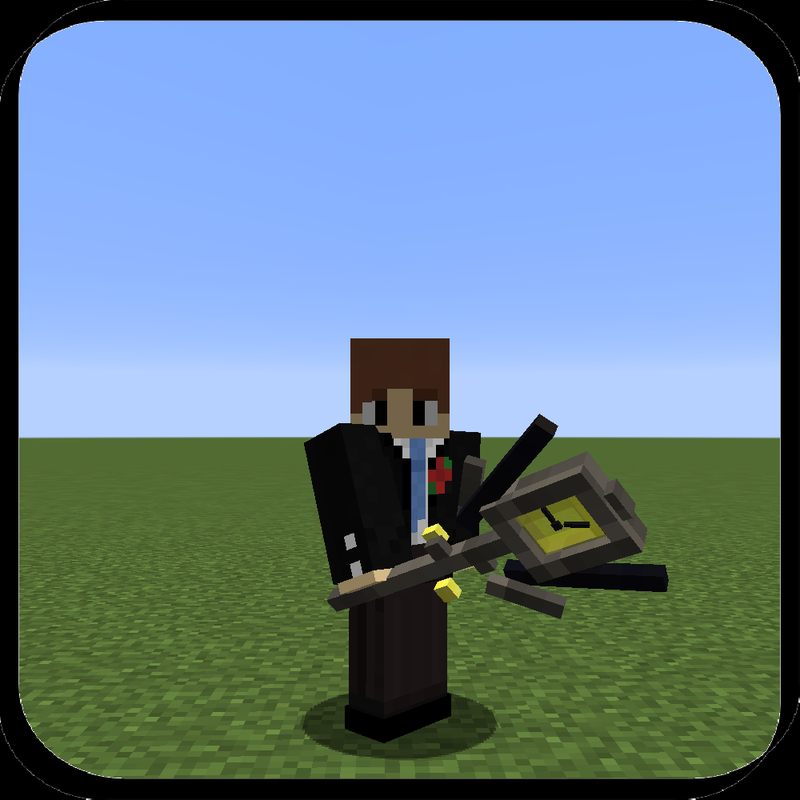 Hold a Dark Relic in your offhand and a wand of your choice in your main hand. The Dark Relic will restore 50% of that wands charge no matter what kind of wand it is. The Dark Relic will then be consumed. Hold a Bright Relic in your offhand and a wand of your choice in your main hand. You need to attack mobs with the staff. After you deal 500 points of damage, the bright relic will recharge the wand by a small amount depending on the wand you are using. 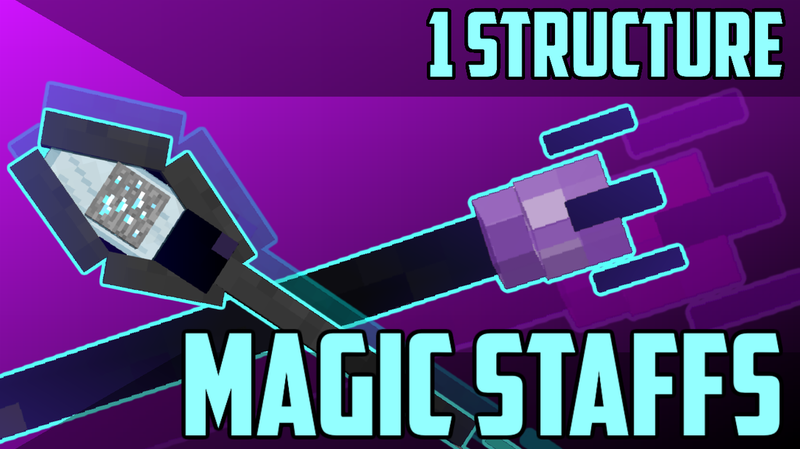 Wands with higher attack damage will recharge faster! The Bright Relic will never be consumed. Holding a Bright Relic will also tell you how much charge there is left in the wand!